Are you looking for best and top social sharing plugins to beautify your contents and enhance sharing? Social networking sites can send huge instant traffic to your websites and blogs. That’s why we are keen to show sharing buttons in different parts of the page- on the top or bottom of the posts, as a popup, as a floating bar, and as a sidebar widget. 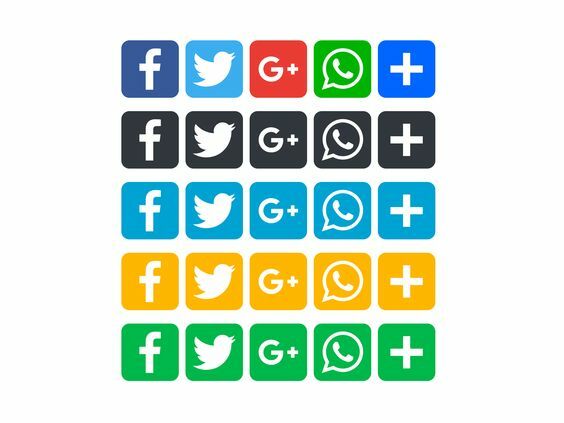 Our social sharing icons should be simple and light-weight. They will encourage the readers to share your contents among the network of their friends which will finally boost your traffic and ranking. Compared to other web platforms, WordPress users are very lucky as they need not go for any coding to insert social sharing buttons on their posts. Choose a social plugin that matches your tastes and design of the website, install and customize icons to start using them wherever you like. 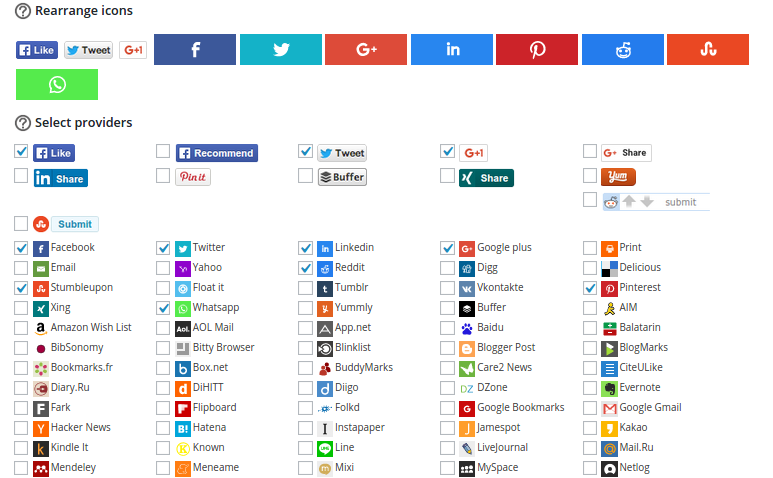 In this post, we list 10 best social sharing plugins for WordPress. 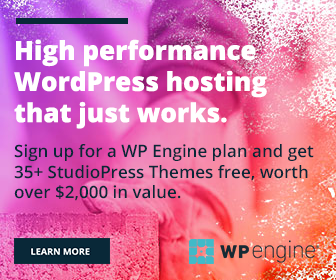 This’s a premium plugin for WordPress users. It’s a stylish choice and you can choose from a couple of gorgeous designs to use on the site. The buttons can be displayed on the top/bottom of the posts, in the sidebar or as a pop-up. This plugin is available from CodeCanyon at $12. 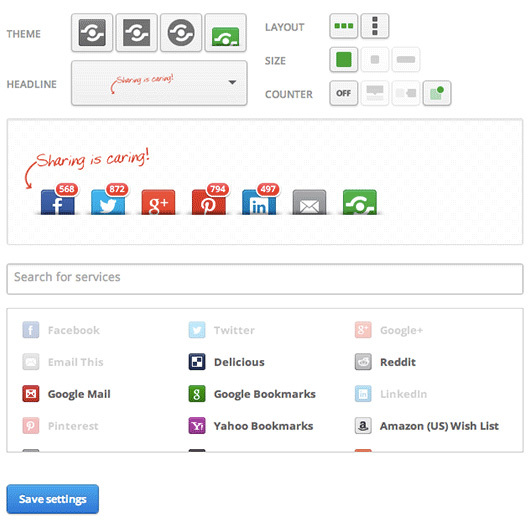 Shareaholic is a popular plugin in the category. It contains various social media icons and you’re able to show them on the top and bottom of the contents. The plugin is highly flexible and you are able to personalize the theme, layout, size, headline, counter etc. Related posts, analytics and URL shortener are other advantages of Shareaholic. Users can earn some extra income by placing sponsored links after the contents. ShareBang is another plugin for social sharing. It supports more than 40 social networks and over 20 social share button locations. It comes with 35+ ready to use themes and you can create an unlimited number of themes with the button themes creator. The icons are beautiful, highly responsive, and super easy to handle. 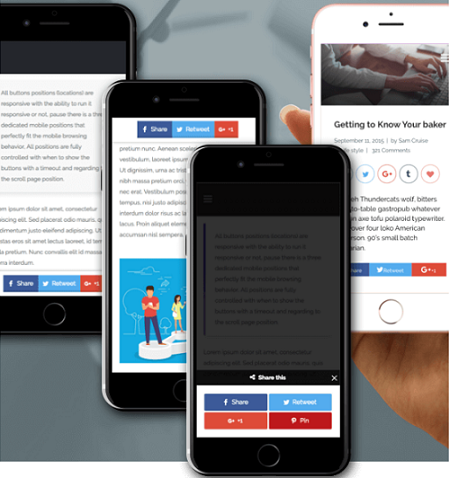 ShareBang is the perfect tool to increase your social media shares, user-engagement, and traffic. You can purchase it for $20 from CodeCanyon. As the name indicates, you can add almost any social icon in posts and pages. It features icons from over 100 social media and bookmarking sites including Facebook, Twitter, Pinterest, LinkedIn, and WhatsApp. AddToAny is optimized for easy loading in both desktop and mobile platforms. In four ways, you can display the social icons- standard interface, floating bar, sidebar widget or by shortcode. 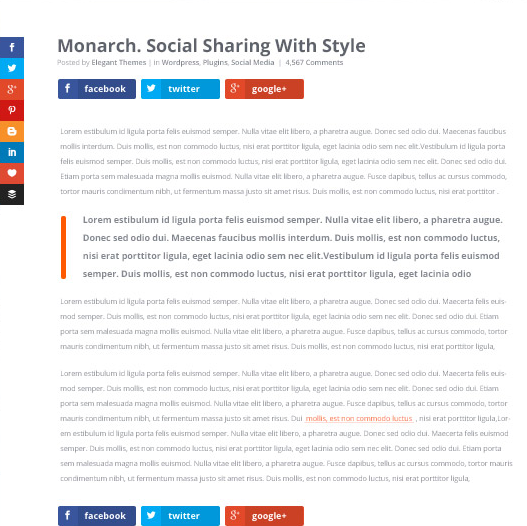 Monarch is a beautiful sharing plugin for WordPress. It is used by several leading news websites around the world and we can mention it as the last stop for all our sharing solutions. Monarch will work anywhere on your site- Above, the bottom of the posts, floating bar, sidebar widget, popup or by shortcode. It’s an Elegant Theme’s product and you can buy it for $ 69/year. jsSocials is another elegant option for social sharing. 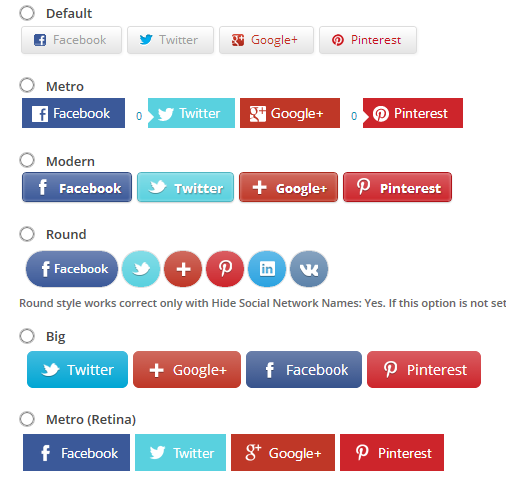 It allows you to customize the appearance of social media icons in several ways. The plugin comes with 4 different themes and 10 layouts to choose from. You can add just icons, icons along with share counts, icons with labels, icons with label and counts or custom logos to single posts and pages. It is simple, flexible and gives premium look to your sharing section. It is an awesome plugin to improve your social media interaction. Custom Share Buttons is a simple, lightweight plugin to show icons either in a floating bar or top/bottom of the posts. AddThis supports more than three hundred networks and it allows you to customize the appearance in different ways. This is a free plugin but a premium version is also available for $12/month. It allows you to add social media buttons in the content area, sidebar, and floating bar. It is another premium social media sharing plugin. Social Warfare will redesign your sharing menu with over 5000 style combinations for the icons. The plugin is customizable, responsive, super fast and integrated with detailed sharing analytics. Shareable quotes, Custom tweets, Popular posts widget are some other features of the tool. It’s available for $ 29/year. 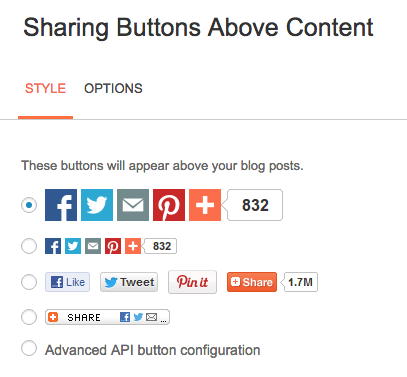 Sassy Social Share is a free source of beautiful share buttons. It supports more than a hundred bookmarking sites with powerful options to manage the design and appearance. The site owners can show the buttons on the homepage, widget, posts, pages, excerpts, archives along with the counts and URL shortener.